As the world continues to march into the waters of globalisation, the sports betting industry is undergoing a revolution. Sportsbooks no longer have the advantage of tapping unexploited markets to further their business. The way the world is set up today, there are virtually no untapped markets, since the internet has opened up even the darkest pockets of the globe. A person in the rural villages of South Africa, for instance, can be able to follow and bet on sports activities taking place in Europe with ease. Handheld devices such as mobile phones have made it even easier to access online sports betting platforms with ease. As such, sportsbooks which want to remain relevant in the industry have to think ahead and fast. Innovation and adoption of new technology is the only saving grace for companies who wish to stay ahead of the competition. This will be possible in many ways. Blockchain is now the currency of the world. Currencies such as Ethereum and Bitcoin are not owned or regulated by specific countries. They are also hugely popular among the demographic group who would form the most substantial clientele for sportsbooks. Companies which adopt this currency that has stability, and is not restricted by regional currency exchange dynamics, will benefit a lot. Punters and game lovers want an even more immersive experience. With virtual reality, they are able to witness greater detail during matches and betting. Increased detail will expand the number of markets which sportsbooks can exploit. While land-based betting has been primarily controlled by geographical restrictions, its online version is much more relaxed. 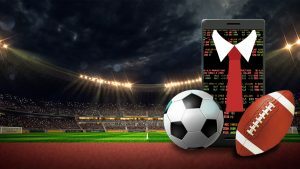 In many regions, the regulation of foreign or cloud-based sportsbooks remains a grey area, and even where laws exist, they are much more lenient. Sportsbooks of the future will need to create a secure infrastructure to take advantage of the unlimited betting jurisdictions.